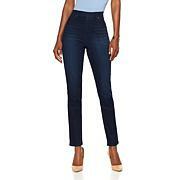 If you're like many women, you have a lot of jeans — the more the better, right? But we bet you don't have a pair like these. 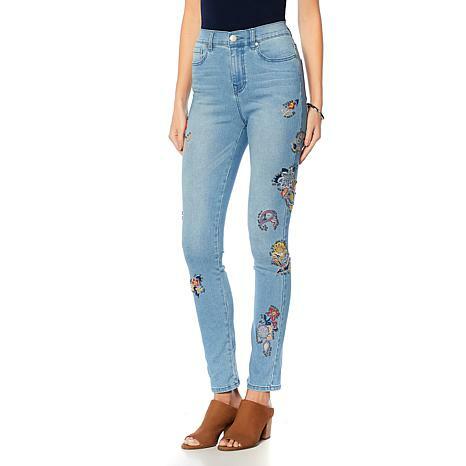 Accented with colorful embroidery and antiqued studs down the side of each leg, these skinny jeans accentuate your figure while keeping your look on trend. Super cute! I am a size 18 but ordered these jeans in a size 14 and they fit great. I received so many compliments that I ordered more Virtual Stretch in different designs. I wanted these jeans in the Midtone color and usually get a 10 in the Virtual Stretch but they were sold out so took a chance and ordered an 8...they fit! A tad tighter than usual but not uncomfortable (I am 5'5", 41Hx31W). Well made and so fun! I have been buying DG 2 jeans for over 10 years they are the only jeans I will buy . I still have my 1st pair of DG2 jeans , I still wear them. 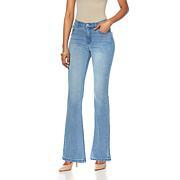 DG2 jeans are always a great fit I know they will fit !! I love the styles and I love the fit. I'm built like a rectangle. So, if the waist fits, the bottom is baggy and if the bottom fits, I can't button the waist. Virtual stretch takes care of both these problems and even accommodate a few unexpected pounds. These jeans are comfortable as well. Thank you Diane Gilman and HSN.